A former don at Oxford University who became a millionaire after inventing a device for needle-free injections has been trampled to death by cows. 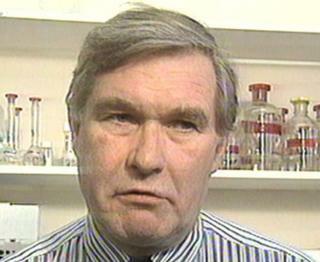 Prof Brian Bellhouse, 80, died despite efforts to revive him in a field in Guestling, East Sussex, on Monday. Paramedics and police performed CPR on him after being called at 11:02 BST, but he was pronounced dead at 11:46. Sussex Police said the death was not being treated as suspicious and had been passed to the coroner's office. Prof Bellhouse, who lived in Winchelsea, was an Emeritus Fellow at Magdalen College. In a statement, the University of Oxford said it was sad to announce the death of Prof Bellhouse, who arrived in 1957 to read for a degree in mathematics. It said: "He obtained his DPhil in Engineering Science in 1964 and was then made a Fellow by Examination. He was elected an Official Fellow in Engineering Science in 1966. "On his retirement in 2004 he was elected an Emeritus Fellow." The statement added he "co-founded the company PowderJect in 1993, which became one of the first companies to be spun out successfully from the University of Oxford and was based at our Oxford Science Park. "Brian was a major donor to the college and endowed the Oxford-Bellhouse Graduate Scholarship at Magdalen in biomedical engineering."